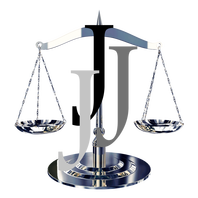 For more than 30 years, John J. Jamgotchian has provided legal services, counsel and representation to Los Angeles area businesses of all types and sizes on all manner of legal issues. John’s more than three decades of practice includes helping businesses with entity formation (for example, incorporation, LLCs, limited partnerships), contracts, leases, commercial disputes, real property, corporate law, employment law, and trademark registration and enforcement matters. John has had considerable experience in both the transactional (that is, drafting of contracts and documents) and litigation facets of the law. His years of experience in handling both litigation and transactional matters have given him unique insight into the legal situations and the twists and turns that businesses typically encounter. John’s practice is characterized by a personal service ethic. He is committed to minimizing client costs by adequately preparing for potential snags and by exploring negotiation and arbitration as alternatives to litigation. When litigation cannot be avoided, his office is eminently qualified to press the client’s case to bring about a speedy and successful result. John’s normal practice is to provide copies of all correspondence and documents to clients, including documents from opposing counsel. He also provides itemized billing statements on a regular basis. The goal is to keep clients informed about their cases and informed of the services for which they are paying. John J. Jamgotchian has always believed in giving back to the community by being active in community affairs. He currently serves as legal counsel for the Devonshire Division of PALS (Police Activity League Supporters). He is also a past president of the Chamber of Commerce and a past president of his local Optimist Club in which he is still active. He formerly sat on the Board of Directors of the Chatsworth Chamber of Commerce and on the board of the Valley Christian Athletic Association. He is quite active in his local church where he serves in a variety of positions. In today’s economy, letting business disputes go unresolved or fester can work against your chances for continued success. To get your business moving forward on all cylinders, hire an experienced attorney who embraces business values and knows business law inside and out. 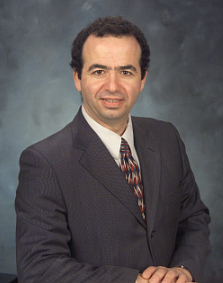 For a free initial consultation, call John J. Jamgotchian today at 818-592-0214 or contact him online.